A NeoCash game, Jubjub Power Bounce requires players to buy tokens from the NC Mall before being allowed to play. Then, for each token bought, you win a special NeoCash prize. There's also the chance to win bonus prizes! JJPB changes with the seasons, both in the look of the game and tokens and in prizes. This means that every so often the current prizes retire and new ones are released. The game also occasionally takes "breaks" where it is not available to play at all. To play, you first need to buy tokens from the NC Mall - these come in packs of 1, 5 or 10. Then if you click on these in your inventory you will be able to select the "Activate" option so they become available to use for playing. Once you've purchased and activated your tokens, head over to the game to begin playing! Each time you play a token, you will be asked to confirm that you definitely wish to use up that token. Gameplay itself is very simple. 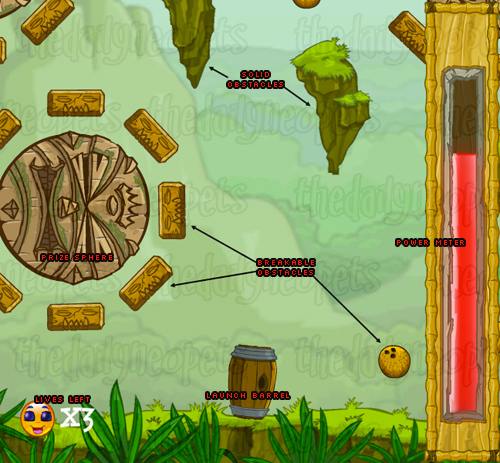 You launch a Jubjub ball from the launch barrel by clicking your mouse. The higher the power meter is when you launch, the faster your Jubjub will go. Though the balls do tend to pick up speed as they go anyway, it doesn't matter even if you start slow. There are two types of obstacles in the game. Breakable obstacles explode the first time you hit them, so the way is clear the next time your ball heads that way. Solid obstacles are permanent and your ball will always bounce off them. The game ends when your ball lands on a prize sphere. These spheres periodically change color, and if you're lucky enough to land on them while they're changed then you win a special Gold-level prize. Often though, the game's display lags behind the "actual" sphere colors so when you think you've landed on a Gold prize you haven't really. Also, occasionally you'll be offered a Gold prize when you think the sphere was normal colored. You get 3 lives per token. This means that if you don't like the first or second item that you are offered, you can choose to replay the ball and try for something better. Keep in mind though - you can't go back and choose one of these previous prizes if you get offered something worse on your last try! Jubjub Power Bounce is now retired from the NC Mall. The "bonus" prizes for this set were all re-released older prizes. JubJub Power Bounce Suitcases function similar to Mystery Capsules. Each suitcase contains one or more retired Jubjub Power Bounce item. Additionally, there is a chance to receive a bonus Limited Edition item in a Suitcase. Apart from containing retired Jubjub Power Bounce prizes, the Suitcases have no connection to playing the Jubjub Power Bounce game. There have been free JubJub Power Bounce tokens available to be claimed from the NC Mall. JubJub Power Bounce Token 1-Pack This token was available for players to try the game upon it's release before purchasing tokens. The current prizes were the Original Theme from Summer 2010. Terror Mountain Winter JubJub Power Bounce Token 1-pack This token was given out in the Advent Calendar on December 17, 2010. The current prizes were from the Terror Mountain Holiday Theme set. Errors or incorrect info? Contact Us. 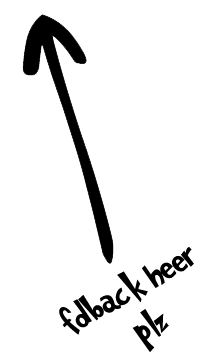 Register · Sign In · What Is It? There are no active daily alerts. Check the other tabs for more. The Snowager is awake. He'll be sleeping in 2 hours, 35 minutes. The Turmaculus cannot be woken up. 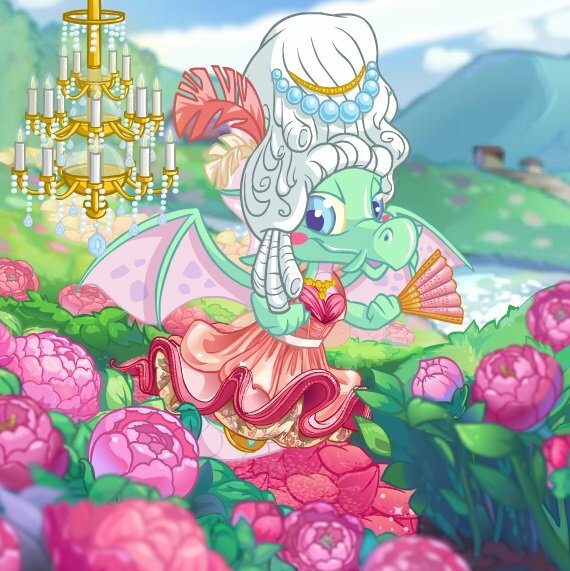 Winning entry for "Pastel Party"! Click here to enter the next round! Vote for Obelisk War! Round 158! Started in 2005, The Daily Neopets is the most-visited Neopets help site in the world. © 2005 - 2019 The Daily Neopets — a Bumpwire LLC site. Red Pteri header image courtesy of Suta Raito.